If you enjoy animal print and find cheetah overdone, this this THIS is what you could chose. The antelope print pattern is speckled with varied sizes of white spots; like a surprise dusting of large snow flakes on caramel-coloured earth. 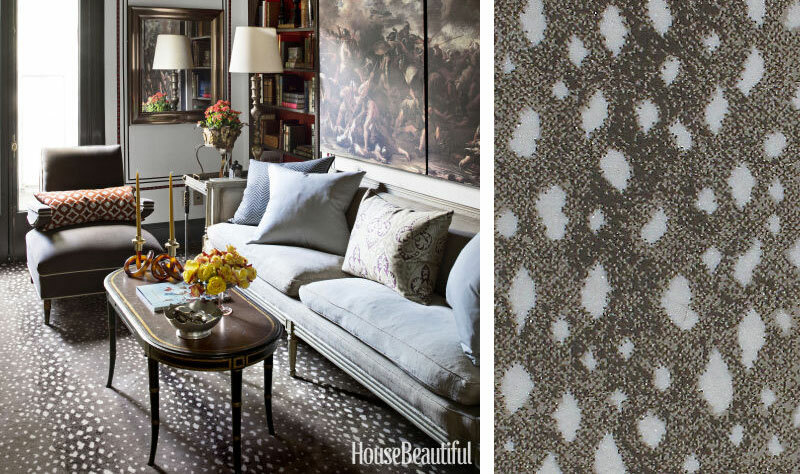 I just loved it in Nicole Hanley Mellon’s home as covered by Vogue (see image above). Shown above in a darker flavor that Garrow Kedigian is known for is the Antelope patterned carpet in his sitting room. I could see how this carpet would be equally as lovely in a room of a white palette. Image above by House Beautiful. Carpet source by Stark. 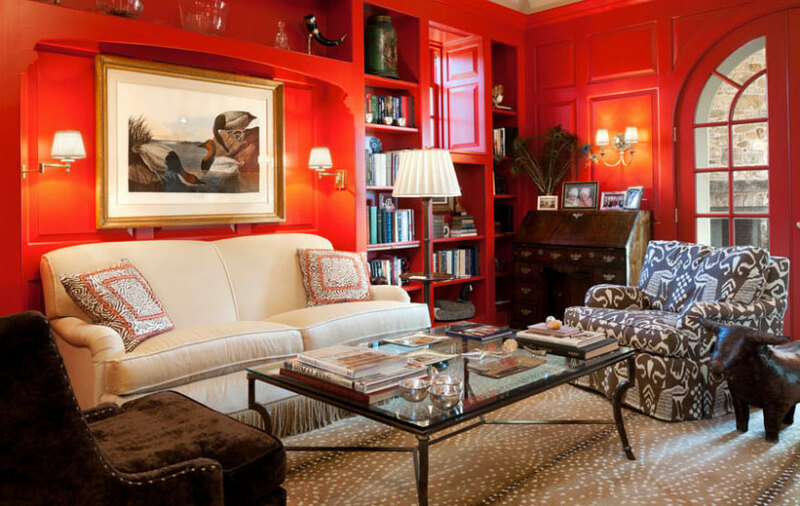 For that matter, a palette as refreshing as this lacquered bright mandarin is handsome with the antelope carpet as shown above in a beautiful design by the skilled Archer & Buchanan Architecture ltd. They endeavoured to pay homage to the gentleman farmer estates of old and I dare say they succeeded beautifully.